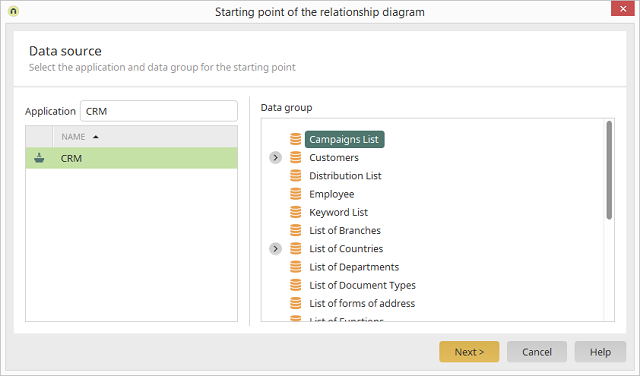 Select the application that should be used as the starting point of the relationship diagram. The name or GUID of an application can be searched for here. Select the data group here.